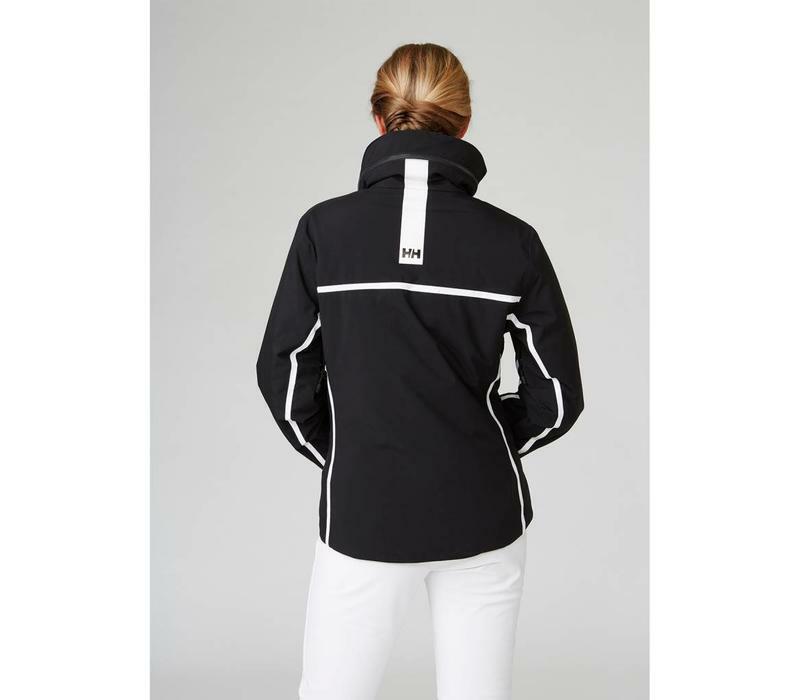 BOLD LINES AND COLOR BLOCKS ENHANCE A SLEEK FEMININE SILHOUETTE PACKAGED WITH FULL PROTECTION. 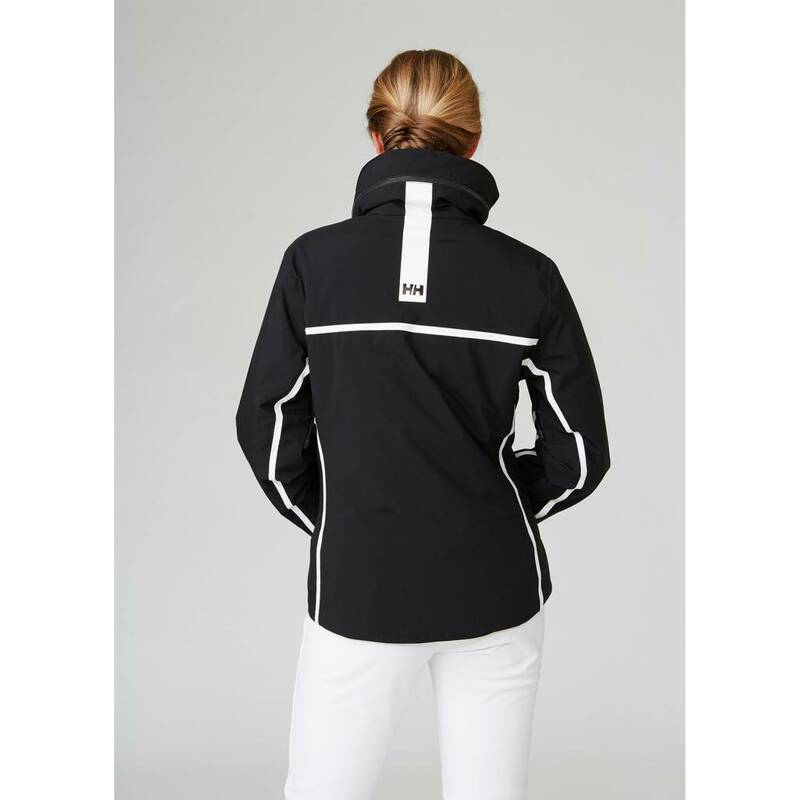 Bold lines and colours blocks to enhance a sleek feminine silhouette packaged with full protection from a soft highly-breathable, waterproof Helly Tech® Performance 2-way stretch fabric to keep you dry, warm and comfortable during fun days on the slope. 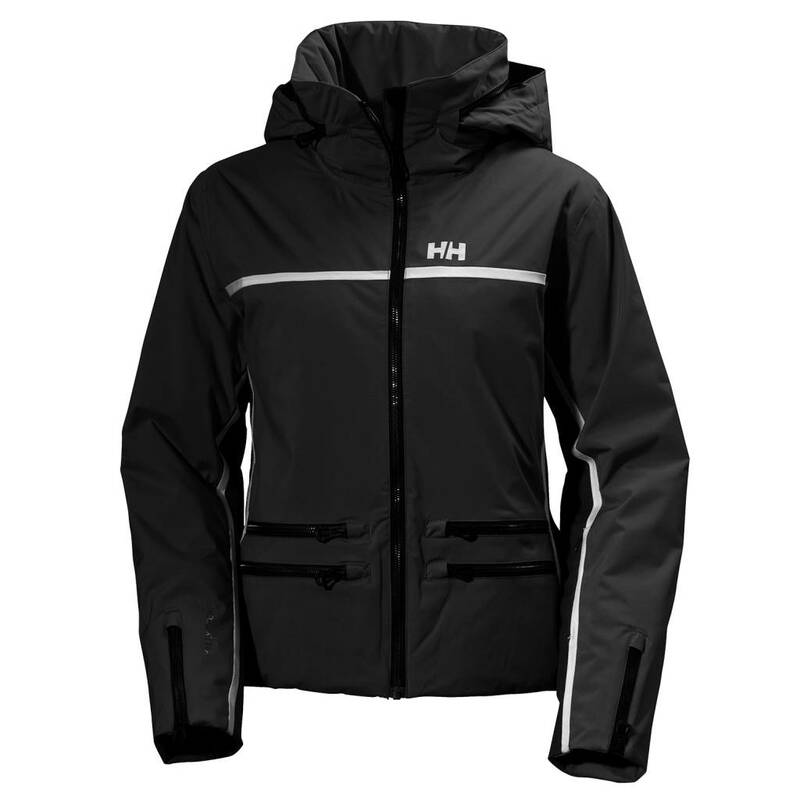 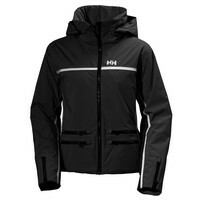 A given winner when you want a sporty insulated ski jacket for the resort. 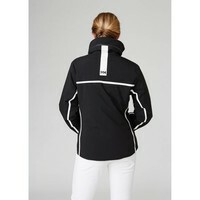 This athletic jacket combining full 2-way stretch fabric, insulation and lining for ultimate movement a flattering fit. 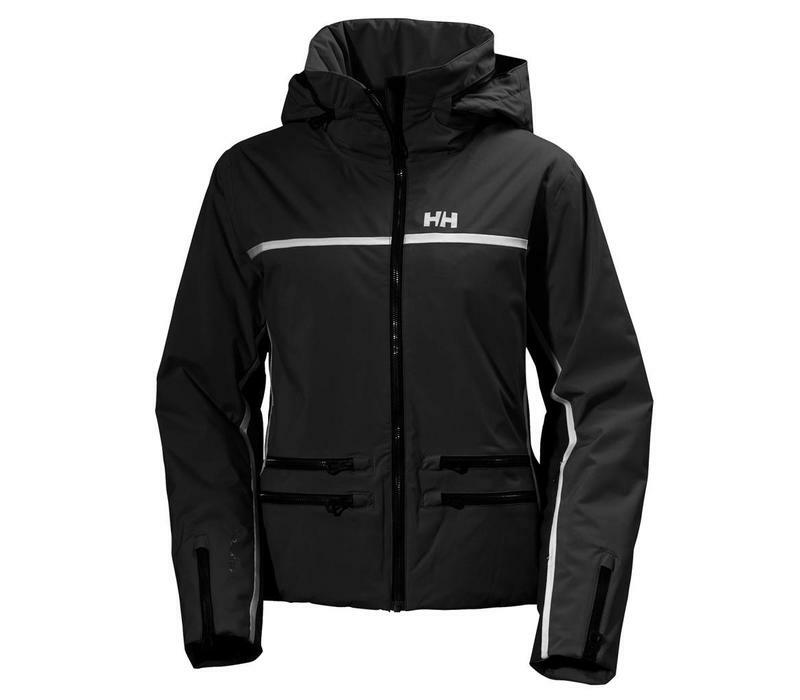 Plenty of pockets are added to keep your valuable belongings in order such as phone, ski-pass and lip balm.